Can You Name All The Robots In This Transformers: Forged To Fight Trailer? 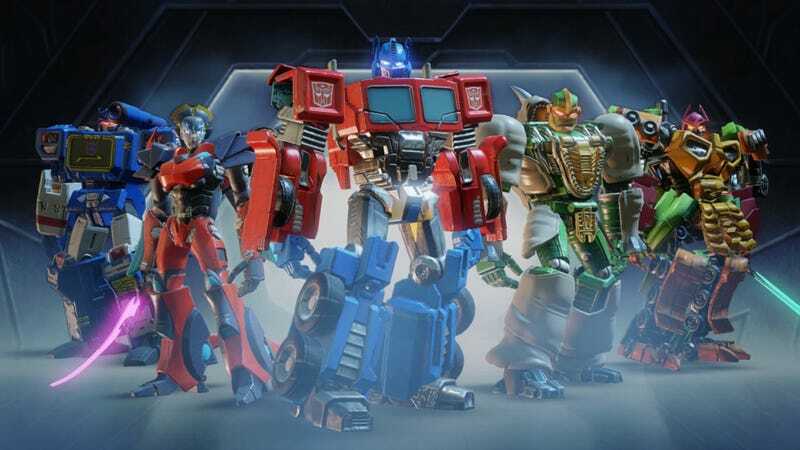 Mobile developer Kabam and Hasbro roll out a new trailer for their upcoming fighting game at Toy Fair 2017 today, demonstrating just how deep and obscure the roster for Transformers: Forged to Fight is going to get. How many do you recognize? When Kabam said they were pulling characters from almost every generation of Transformers, they were not kidding. In the shot above we’ve got classic Soundwave, mewcoer Windblade, whichever version of Optimus Prime that is, Rhinox from Beast Wars (showing off the liberty being taken with scale) and bad old Bludgeon. Transformers: Forged to Fight arrives on iOS and Android this spring.